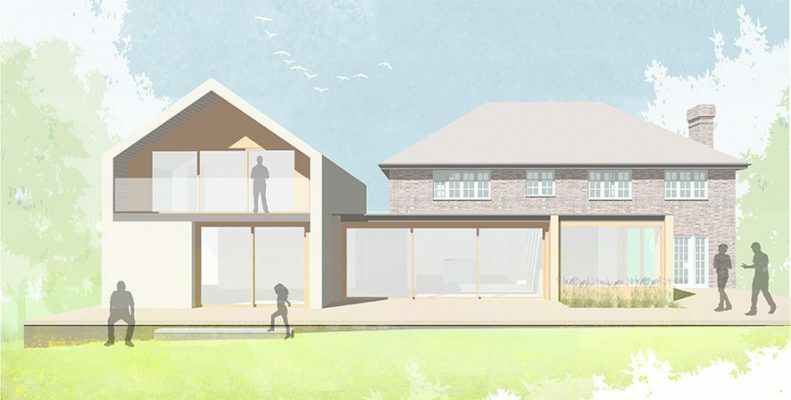 This residential project involves the complete refurbishment and reconfiguration of the ground floor and a two-storey side extension. 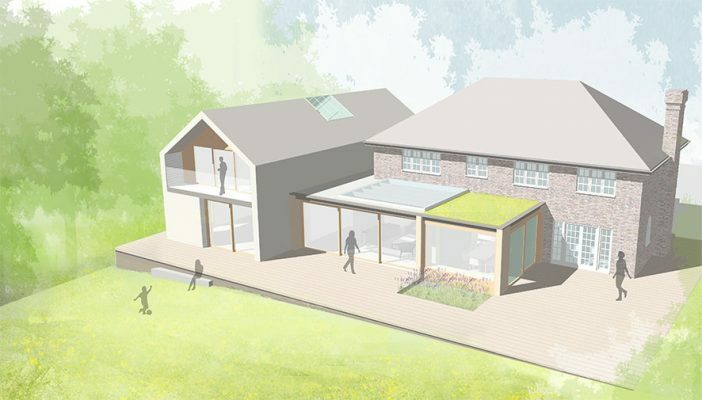 The detached house is located along a quiet wooded street in Hook Heath, Woking, Surrey. 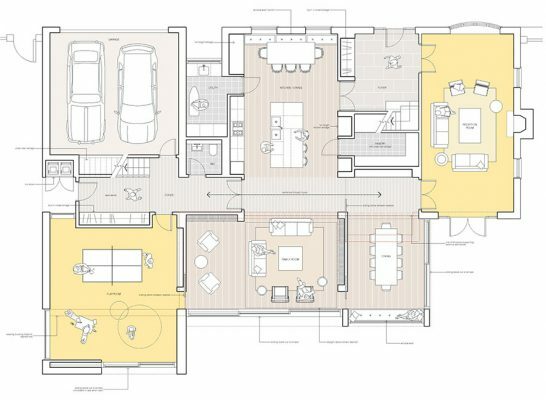 The existing ground floor layout is a series of disconnected rooms where occupants are forced to circulate through one space to reach the next. 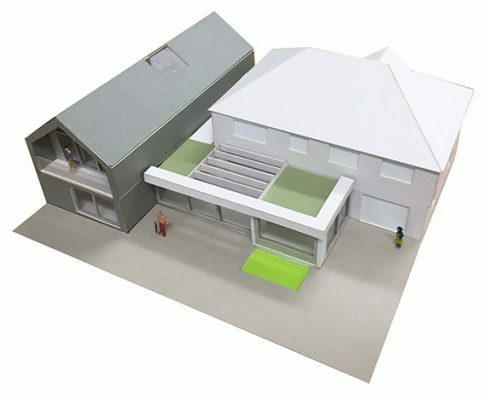 Our proposals opens up the existing ground floor by incorporating a central horizontal axes connecting the existing building footprint to the new two storey extension. 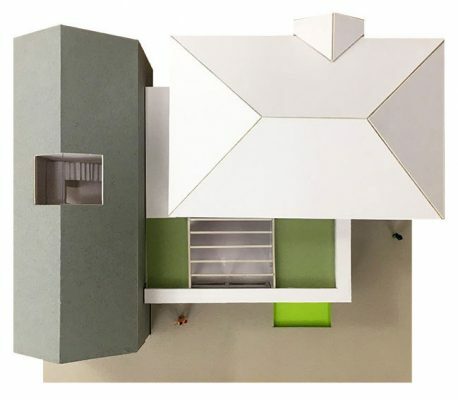 New and old rooms extend and radiator from this spine establishing strong physical and visual links throughout the house and reconnecting all the spaces with the generous rear garden.